Weber Automotive has partnered with Virteom to engage our customers and website visitors in our services and the technology behind them. In our video series, Jacqui and Weber Automotive Owner, Bryan Weber, talk about auto repairs, services, and the process that power them. Watch or read the transcription below to learn about the importance of car alignments! Pre-mature wear on your tires. Extending the life of your tires. Tires can range from $400.00 - $1000.00 to replace so a simple alignment can save you costs. Fuel consumption is another reason to get an alignment. Yes, you can actually save fuel with a properly aligned set of tires. If your anything like us, your usually skeptical when it comes to unnecessary expenditures and a tire alignment sounds like it’s just one of those unnecessary maintenance costs you can live without. If you think of yourself walking with your feet pointed inwards rather than normal, not only do you slow down on how you walk but you’re would also wear out your shoes much faster. That slowing down in your walk is similar to stressing out our engine a bit more because It’s essentially dragging the wheels more than rolling them. And that misalignment is also running your rubber down on your wheels much faster. So, we’ve covered the expenditures of a bad alignment. We’ve also covered the additional hidden costs associated with a bad alignment, consider the safety factors of a bad alignment. If your wheels are wearing down and you’re the type that doesn’t consider taking your car into the shop, you could find yourself with a flat tire. There are a number of safety hazards that come with the flat tire, not to mention your loss of time and the potential safety hazards that come with a misaligned set of wheels. One tricky thing about alignments is they are sometimes hard to see with the naked eye. Are you unsure if your car needs an alignment? No problem. Contact us and talk to one of our professionals and we’ll give you the honest and fair diagnosis you need. 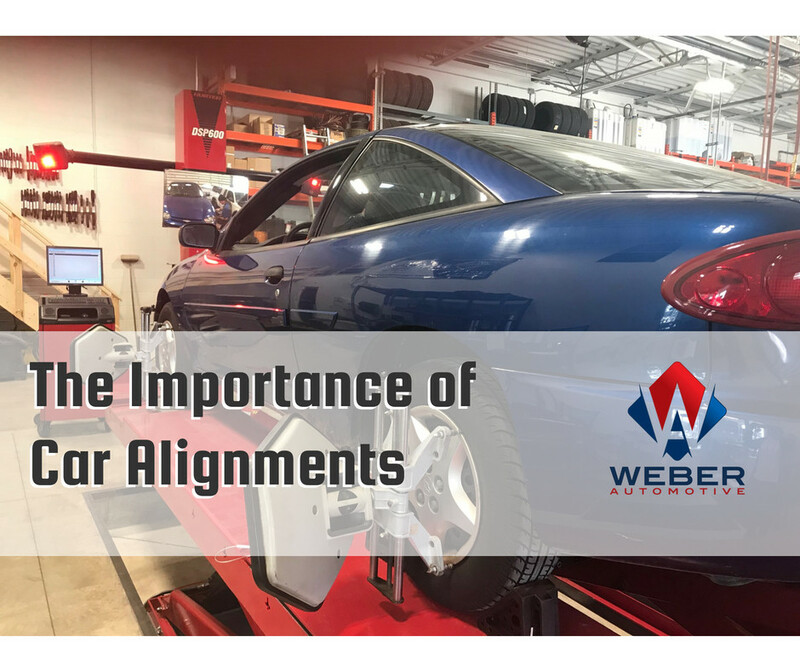 If for you do need an alignment, not only do we have certified experts on staff, but we have the latest alignment software and lift technology to do it right. Schedule your service today. We look forward to assisting you!